The objective on this part of our IT Training is to teach you all about computer infections…and how you remove them. So first of all let’s start by clearing up an important point. 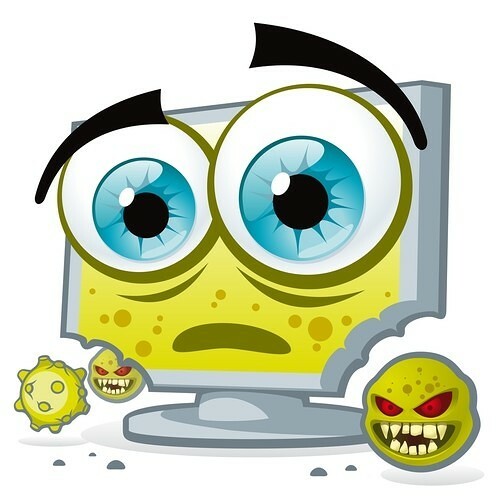 What is the difference between spyware, malware and viruses? Why? Because Malware encompasses all computer infections. Most sources site the word malware as meaning “Malicious Software”. It refers to software that has been written with the intent to cause some form of harm to your computer or network. Trojan – Think of the Trojan Horse story. A seemingly innocent gift that when opened causes mayhem. Trojans are a popular way for Malware to penetrate computer systems. Spyware – Think of spyware like this:- it is software that collects information about your internet usage and sends it back to the place it was created. This information is often used against you in the form of spam. This process of information sending uses up your bandwidth resulting in a slower performance. Backdoor – These are ways that a hacker may penetrate a computer system. Typical examples are hidden computer accounts or router ports left open that a hacker may use without your knowledge. Some IT companies have legitimate backdoors as part of a company disaster recovery strategy but do not advertise them or have ways of activating them when required. Dialler – A program that typically dials a premium rate number that has per minute charges, usually at a high rate than your average call resulting in a hefty bill. Hijackers – Hijackers are designed to change aspects of your Internet functions such as redirecting your search engine results or your home page to show results that will somehow benefit the creators of the hijack program. Worm – Usually found in attachments to rogue emails. Programmed that when run, has the ability to spread to other computers on its own using either mass-mailing techniques to email addresses found on your computer or by using the Internet to infect a remote computer using security flaws. How do computer viruses or spyware (ahem)… Malware start? How do i get infected? Malware spreads via email, USB stick or websites dropping bad code onto your computer. They are then triggered by something. Usually this trigger will be a program such as Internet Explorer starting up or a file attachment being opened. The symptoms of a malware attack may not always be obvious straight away until you start a program or a website or insert a memory stick and then…you experience the payload of the malware.